Adolphus Washington Greely was one of the most forward-thinking people ever to grace the field of public service. He was the oldest person ever to receive the United States Congressional Medal of Honor at the advanced age of ninety-one, and during his lifetime he brought about some of the most significant changes to American scientific and military exploration. He was at one time the most well-known person in the world, and his acquaintance was coveted by royalty and leaders around the globe. And yet, nearly eighty years after his death, he is relatively unknown. This is the story of his remarkable life, which began in 1844 and ended in 1935. From his service in the 19th Massachusetts Volunteer Infantry during the Civil War, Greely moved on to work in the Signal Corps—a military signaling and communication organization of which he later became chief—constructing telegraph lines across the country. His travels took him to Paris, where he met inventors, intellectuals, and political figures, including Samuel Morse and Adolphe Thiers. Greely gained worldwide fame for his ill-fated 1881 Arctic exploration. Although his team set numerous records and gathered a trove of scientific data, Greely was one of only six men who survived long enough to be rescued two years later. In his later years, Greely was no less active. He organized the Weather Bureau, took a large role in the recovery of San Francisco after the 1906 earthquake, quelled the last Native American uprising, and left an indelible scientific legacy by founding the National Geographic Society. In word and deed, this larger-than-life man of adventure and knowledge forged today’s world. Author Paul D. Walker has spent years researching Greely’s life in order to re-introduce this amazing man to a twenty-first century audience. A distinguished military graduate of Missouri State University, Paul D. Walker served two tours in Vietnam and went on to a thirty-year career in the armored cavalry division, earning sixteen awards for valor and achievement. He earned master’s degrees in both international relations and public administration from Shippensburg University and taught political science and history at a local university in Salt Lake City. He is a member of the Civil War Round Table, Veterans of Foreign Wars, Purple Heart Society, Vietnam Veterans of America, and American Legion. He has published two additional books on military strategy and history with Pelican: The Cavalry Battle That Saved the Union: Custer vs. Stuart at Gettysburg and Truman’s Dilemma: Invasion or The Bomb. Walker resides in Salt Lake City, Utah. 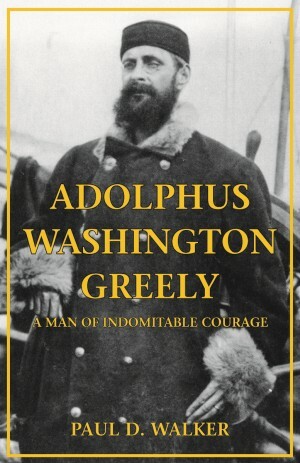 Informed and informative, "Adolphus Washington Greely: A Man of Indomitable Courage" rescues from an undeserved obscurity a singular man who served his country both militarily and scientifically as few others before or since. BATTLE OF NEW ORLEANS, THE "But for a Piece of Wood"